One of the most exciting events of the year for kids and adults alike! 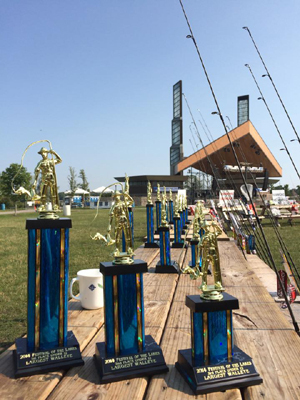 Held annually in August during Hammond's Festival of the Lakes, children from all over the area congregate at Wolf lake to receive free fishing rods/reels and expert fishing advice from our co-sponsor, Mik-Lurch Bait & Tackle. A ceremony at the conclusion of the event awards trophies based on biggest fish for different species/age groups. Fun event that see's many kids come back each year!